Other photos: Sunseeker Predator 82, Sunseeker Predator 82, Sunseeker Predator 82, Sunseeker Predator 82, Sunseeker Predator 82, Sunseeker Predator 82, Sunseeker Predator 82, Sunseeker Predator 82, Sunseeker Predator 82, Sunseeker Predator 82, Sunseeker Predator 82, Sunseeker Predator 82, Sunseeker Predator 82, Sunseeker Predator 82. The 78.74ft /24m Predator 82 open was built in 2007 by Sunseeker and last refitted in 2014. 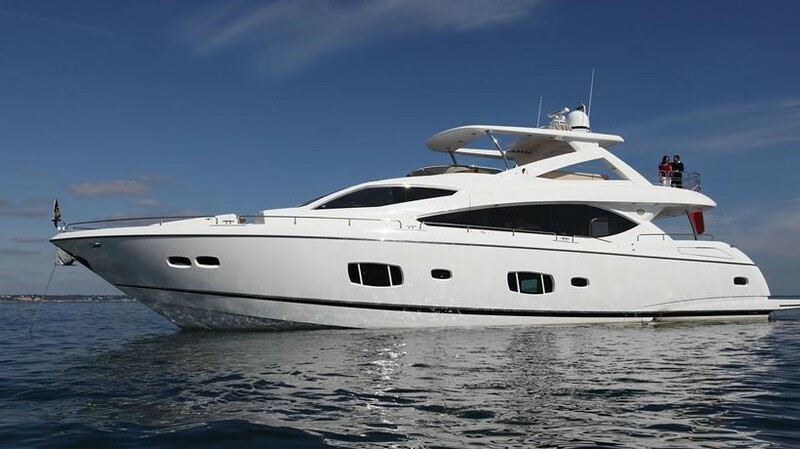 This luxury vessel's sophisticated exterior design and engineering are the work of Sunseeker. Her exterior is styled by the Sunseeker team who are also responsible for the entire engineering package. SYS Yacht Sales is pleased to assist you in the purchase of this vessel. This boat is centrally listed by Independence Yachts.